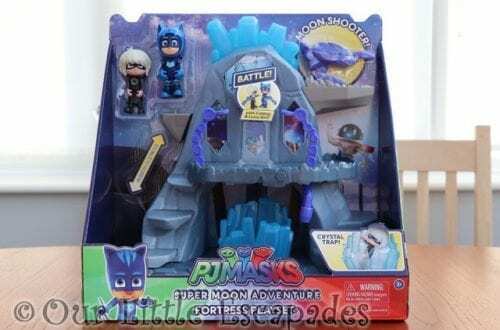 I have had my eye on the Fuzzikins range for some time. 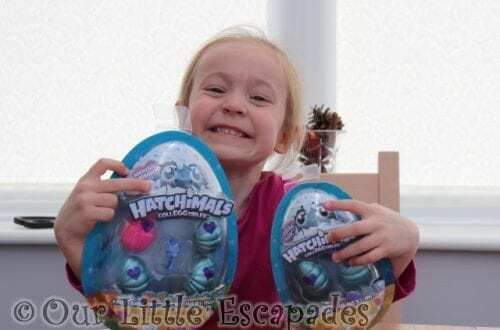 Little E was a bit young but since starting school she has really shown an interest in arts and craft. I thank that she is a perfect age now to put the Fuzzikins Bedtime Bunnies to the test. 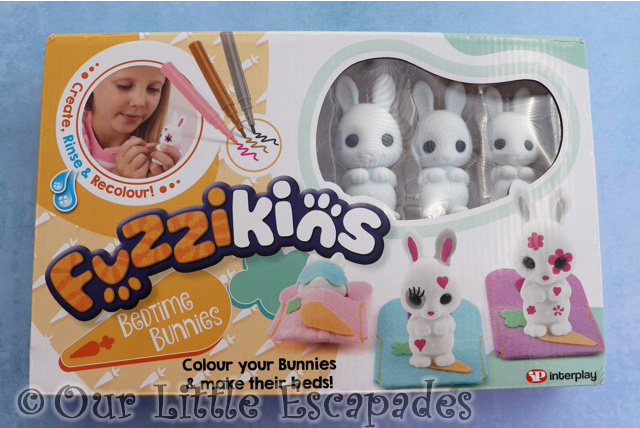 Fuzzikins Bunnies are adorable felt bunnies that you can design, colour and the play with. When you are bored with your design you can wash it off. Leaving the bunnies ready to colour in again. The bunnies also come with their very own sleeping bags. Felt stickers are also supplied so that you can decorate the sleeping bags ready for bedtime. 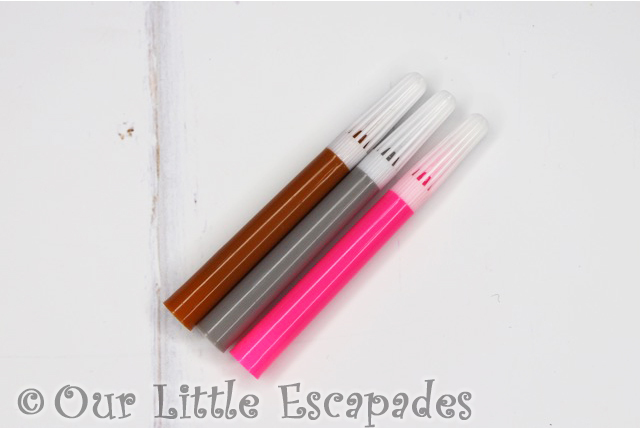 Please note the felt-tip pens are washable, but they may stain certain surfaces, carpets, or fabrics. Please read the instructions before use. 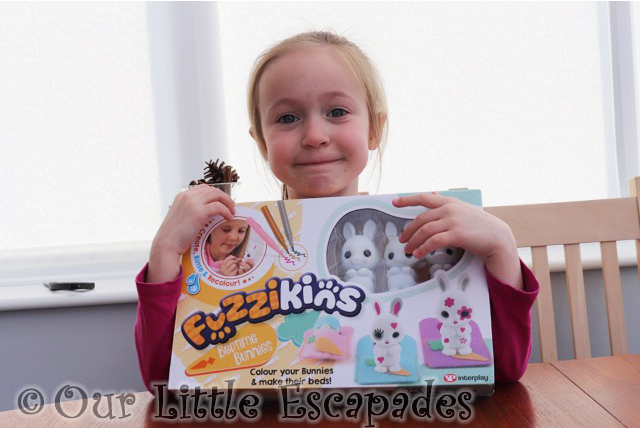 What Did Little E Love About The Fuzzikins Bedtime Bunnies? Little E has loved playing with the Bedtime Bunnies. 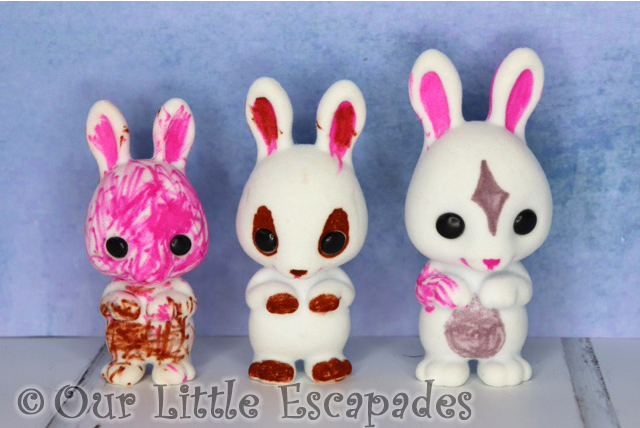 At first she only wanted to decorate the smallest bunny and I was left to design the other two. Since she has discovered that she can wash off the designs there has been no stopping her. The bunnies have been washed and designed so many times now I have lost count! Little E also has also had lots of fun decorating the bunnies sleeping bags. She also discovered a Super Hero cape in the felt accessories and has had lots of fun with her Super Hero bunny. What Do I Love About The Fuzzikins Bedtime Bunnies? I really think the Fuzzikins range is such a cute idea. I wasn’t sure if they would really wash clean but they did. 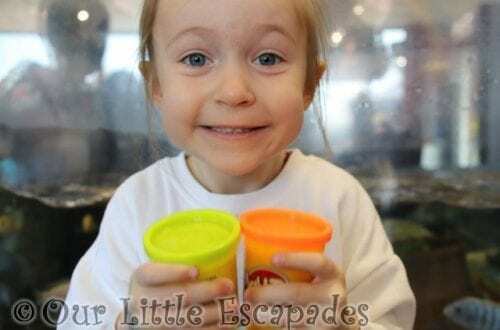 It is so nice to see how much fun Little E has had with something so simple. The only thing I would say is I wish there were more colour pens available. The set comes with three pens but I would love the option to be able to buy some more. Giving you the chance to make your creations even more colourful. 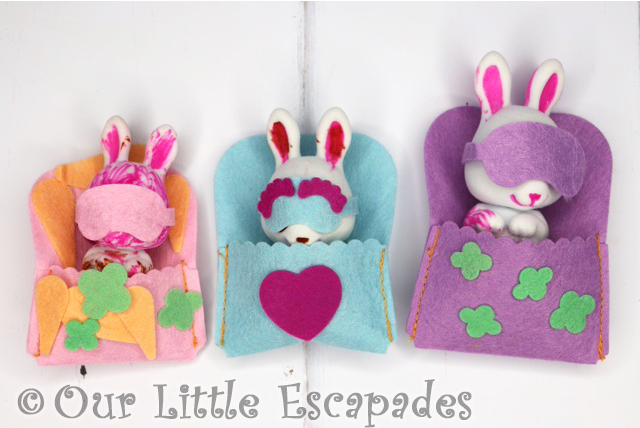 The below video shows us opening the Fuzzikins Bedtime Bunnies and creating our designs. The Fuzzikins Bedtime Bunnies have an RRP of £9.99. DISCLOSURE – We were gifted the Fuzzikins Bedtime Bunnies for the purposes of this post and to create our YouTube video. We always give our honest opinions, findings, beliefs, and experiences of the products.